We have been able to review the best rowing machines available and the Stamina ATS Air Rower 1399 happens to be one of them. Fortunately, there are decent rowing machines under $100 that could still help you workout and maintain a better physical fitness but if you are willing to invest a little bit more then this machine will be a very good place to start looking except if you are looking for something more expensive and outstanding like the Concept2 Model D and Model E.
That being said, among the best rowing machines they differ by the price range, the higher the price the better the machine will get. So, if you are looking for the rowing machine that is below a $100, definitely you will get one but there are features that aren’t available in them that you could find in a $200 to $300 rowing machine. Therefore it is very important to keep that in mind even though we presume you already know that. We choose and recommend fitness equipment based on their popularity and on our own research on them. 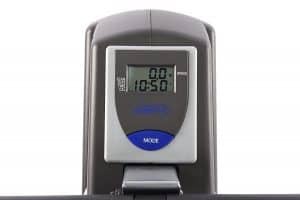 The Stamina Air rower 1399 has been partially reviewed by us (it is on our list of the best rowing machines) but not in detail as we intend to do with this review. It is important to remind you that this machine is very popular and has very good and positive feedback from the users. This is important because the only persons that can actually describe how a path is are the ones that have walked that path before, right? So we take feedbacks seriously such as the Amazon customer reviews. It has well over 800 Amazon customer review with an approval rating of 4.2 out of 5. Any machine that has an approval rating of 4.0 out of 5 is worth considering except you have a special reason that has to do with the features not suitable for your personality, otherwise, it is highly recommendable. This machine will give you a full body workout with less impact on the joints just as most good rowing machines do. 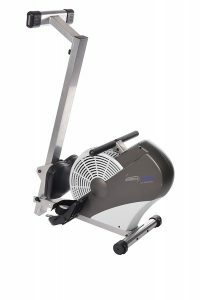 The frame of the Stamina ATS Air Rower 1399 is completely made of steel. The rowing machine can fold up to an extent which means it is foldable and the flywheel casing, of course, is made of plastic. However, it is designed to fold up around the front area thereby causing the seat and the monorail to be folded up together on the flywheel while you have a long rear frame standing out making the machine to look like a luggage that can easily be moved. The machine has assembled dimensions when not folded 77’’ L x 18.75 W x 22’’ H and when folded it has this dimension 18’’ L x 28’’ W x 48’’ H.
The machine is sturdy and does not wobble or move even during an intense workout; thanks to the two stabilizers that are integrated into it at the rear base’s either side and would also prevent scratch or dent on your floor as well. There are also transport wheels at the front base which will basically make relocation of the machine much easier after folding it up. Therefore, if you are looking for an indoor rowing machine for home use then look no further because this machine has some level of quality that can make it to last and also provide you with the same workout effect you get from gym’s expensive rowing machines. There are 4 colors by which this machine comes in which are black, black and red, black/chrome, and crypto green/black. These are all beautiful colors you can select from. The seat that comes with this rowing machine is well upholstered, padded and cushioned so that users can get the feel of comfort throughout their entire workout session. The oversized angle seat rail also promotes the smooth sliding of the seat so that a user can have better workouts on the legs. There are rarely any complaints about the seat being uncomfortable; virtually all the feedback we read commended and applauded the seat and how well padded it is. However, individuals with an injury in the tailbone may experience some discomfort after few minutes of workouts, but according to one user that has this problem, he said he usually adjusts his weight each time he starts experiencing some discomfort and this always happens 15 minutes into the workout. The seat and the monorail are designed and positioned in a way that can offer better workout experience. Its overall design can conveniently accommodate most users of different sizes of up to 6 feet 4 inches after all the distance between the seat stopper and the footplates is more than 4 feet. The Stamina ATS Air Rower 1399 has air resistance system that is user-friendly which means everyone or at least almost everyone will love it because regardless of fitness level anyone can use it. From our research, we discovered that this claim that the majority of the users love it is affirmative. This is how the resistance works, first of all, it does not have any resistance regulatory lever or knob but depends on how harder or easy you pull the rowing handle that will determine the level of challenging or easy workouts you get. When the rower handle is pulled it causes the flywheel which has fan blades to spin and produce wind. Therefore, the faster or harder you pull the rower’s handle the more air more air the fan will produce, then the more noise it will also make and ultimately create harder resistance. Now, you may wonder if the noise it creates during these hard pulling workouts will not be a problem and disturbing. Well, most users see that as a way of motivation because the harder they pull and the noisier it gets it is telling them that they are actually doing a good job and thus will boost their morale to do more. This type of rowing machine is categorized as variable resistance because it does not have any sort of button, lever, or knob to control the resistance. So, in other words, you get the resistance level to your workout according to your fitness level because it only produces what you pull or row during a workout. If you wish to have an easy workout experience, then take it easy and pull. Unfortunately, there are few users that complained about the resistance not being effective and not adjustable. Obviously, they don’t know how the air resistance works and thus condemned it and probably they have been consistently working out in the same level of intensity thereby not seeing any difference in the resistance. Simply put, the law of the air resistance rowing machine is, don’t grow too fast if you wish to experience less resistance and row harder if you wish to experience a more challenging workout, it is as simple as that. And the different resistance levels you can get are infinite depending on how far you can go. And guess what, the Olympic professional rowers prefer this type of resistance because it gives them a lot of room to improve and to challenge themselves. So, this machine is great for high-intensity interval training (HIIT) because this does not involve stopping in the middle of the workout to adjust resistance or sort of thing like that and that is what HIIT is all about, to be able to engage in consistent high-intensity workout for a period of time without interruption; you can also slow down without really having to stop. Just like some of the other models and brands such as the Stamina Body Trac Glider 1050 Rowing Machine and the Sunny Health and Fitness Rowing Machine (SF-RW1205) it has a slanted frame that also adds resistance to the workouts and produces smooth rowing stroke. The lowest point of the seat to the floor is about 9’’ and 12’’ at the highest point to the floor. Having said that the standard air resistance system does not have adjustment button, lever or knob, but there are high-end rowing machines such as the Concept2 Model D and Model E that have the adjustment option where the damper can be regulated by the lever on its right side. The Concept2 rowing machines are commercially built with a lot of features that are not commonly found in other rowing machines. If you want an air rowing machine with ‘’adjustable resistance’’ then you will have to pay a lot more for that. Ordinarily one would think that the air resistance should be noisy and can prevent a user from listening to music or even disturb the family and neighbors. But the thing is that it does make this whooshing sound when you workout and can be noisy to prevent you from listening to music except with earphone of course and watching TV is out of the question because you won’t be able to do so but we have not been able to find any feedback that says it disturbs the family or the neighbors. And do remember that the noise it makes differs depending on how hard or fast you pulling the handle during a workout. The faster you go the noisier it gets and the slower you go the noise becomes less. Does the machine give an equal distribution of workout to the upper and the lower body? Well, it does offer evenly distributed workout to the entire body. However, some users may have complained they have either received good workout on the lower body than the upper body or the other round, this could also be as a result of the improper positioning of the body thus using the machine incorrectly. Ordinarily, the legs suppose to get a lot more workouts than the core, arms, back, and shoulders. If you are a beginner, then it might require you getting used to the machine and that could take a week or two. The console is rather a basic one because it has only one button just as the case with most low budget rowing machines. And this allows a user to monitor workout progress by displaying data/values such as the speed, distance, time, and calories burned while the speed and distance are measured in miles. The monitor is designed to display the speed metric always which mean it will be steady and does not show any other value while the other values are displayed one at a time and can be adjusted manually by using the MODE function button. The SCAN function can also be used to set the monitor to display the values (distance, time, and calories burned) rotationally after few seconds of displaying each of them. There are two ways the monitor can be turned on which is by pressing the button or by trying to work out with the rowing machine. The monitor is not a backlit type of monitor therefore readability will be great if it is been used in a well-lit room or location otherwise the visibility will be poor. It is powered by 2 AA batteries which are unfortunately not included when the machine is purchased and that means you have to buy them separately. The monitor does turn off after few minutes of no workout activity going on with the machine thereby saving battery power. Overall, this machine has a basic monitor that displays the 4 basic workout values that will allow the user to know that he is making a progress towards achieving the fitness goals. And to be honest, we do not expect that the monitor will be a lot more than what is because of the price range of the machine. The handles are designed to convey comfort because they are covered with a foam material to also prevent blisters on the hands/palms. It is connected to a nylon strap/cable which is also going to be durable and offers a smooth workout. As aforementioned, we discovered that this machine can conveniently accommodate users of up to 6 feet 4 inches. It can also support up to 250 pounds maximum weight capacity but then we also discovered that there are users that are about 260 to 270 that still use the machine without any issues. However, if you are a person that is taller than 6 feet 4 inches, let say 6 feet 6 or 7 inches, we will advise that you call the customer service to find out if you can use this machine. Our guess is that you will be able to use it but may not be able to experience full leg extension. The storage of the Stamina Air Rower 1399 is very easy and can be stored in homes that do not have much storage space. This is so because the machine is not a very large one and it is foldable as well. When folded it reduces the length to more than half what it used to be when fully extended. To fold it up all you need to do is to remove the bold which is in the frame close to the fan and replace it when you are done folding it upward. When folded it looks like a baggage and portable and ready to be moved to storage location without any hassle as it also has transport wheels to help. And the folding process takes only a few seconds to accomplish. The feedbacks and the reviews we read concerning the Stamina ATS Air Rower 1399 have always been positive. At least, over 85% of the users think that this machine is great and worth buying. Most of the users commended the quality and the features it possesses. Its approval on Amazon is so impressive that you will have no doubt that this machine delivers as it claims. The Amazon approval rating at the time this review was written is 4.2 out of 5, and you can click right here to read more of the reviews. It is foldable with transport wheels for easy relocation and storage, and it doesn’t take time to fold up. There are 4 colors available by which the machine comes with, so if you are particular about colors you may find this useful. The shipping cost of this machine depends on the retailer you are purchasing the machine from. Although, Amazon provides free shipping for this rower and delivers within 3 to 5 days. The Stamina rower 1399 is easy to assemble since it is delivered with the major components preassembled. It also comes with an instruction manual that could help you through the process of assembly. It usually takes 30 minutes to fully assemble the machine and you can download the user’s manual right here. There is no major maintenance required but to always keep the machine clean from sweat and dust. You can also read the user’s manual to fully understand the maintenance level it requires but overall does not need any major maintenance. The Stamina ATS Air Rower 1399 is a very recommendable rower for home use made with considerable quality. This machine will surely deliver in terms of effective workouts and has some level of comfort it also offers. The users that use this machine are happy, at least most of them are and they clearly stated so. 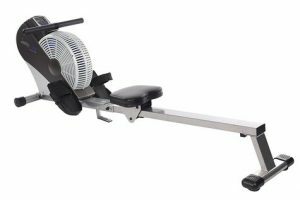 However, this rower can never be compared to other high-end rowing machines such as the Concept2 Model D and Model E. If you are looking for something that is nearly perfect then we will recommend concept2 Model E, it is expensive but delivers and compensate for it price thus it has a very good and impressive approval rating and consumer feedback. If you further have any questions please do not hesitate to holler at us and we shall be glad to respond accordingly.